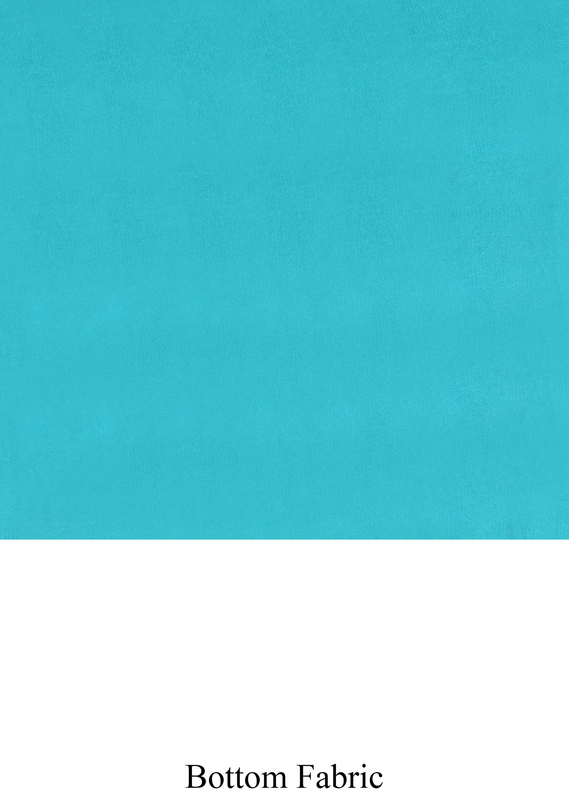 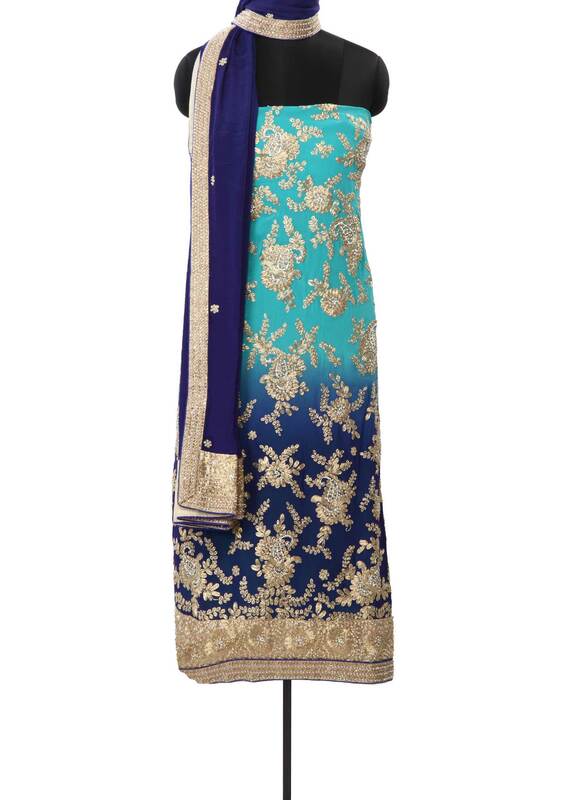 Shaded kurti in turq and royal blue georgette. 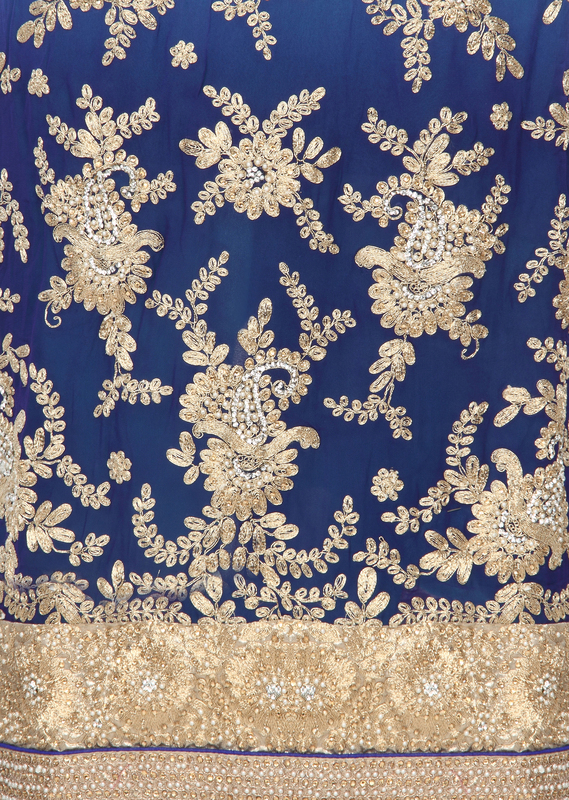 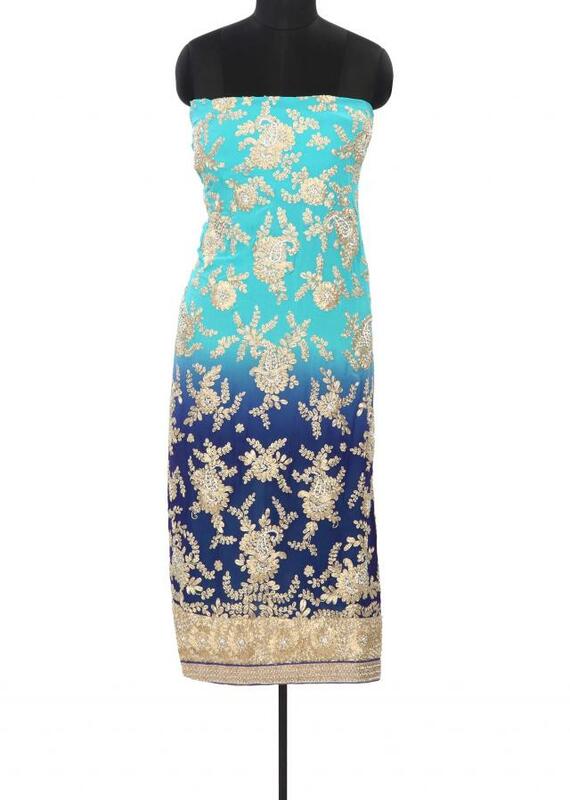 Its embellished in zari and pearl embroidery. Bottom fabric is in blue santoon and dupatta in crepe.